La Mere Poulard is a bistro located right in the heart of SM Aura Premiere. 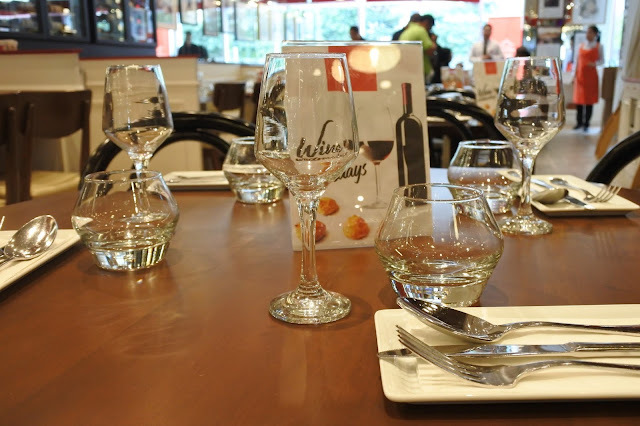 At first glance, it may seem like a posh restaurant especially with its French name but really, the menu is reasonably priced (with a few exceptions) and serving portion is good for sharing. This is our sixth stop during the food crawl #AweSMFeast #TasteOfAura at SM Aura Premiere. The ambiance is very relaxed and I like how "light" the atmosphere is at La Mere Poulard. This restaurant is also famous for its puff omelettes which we got to try. Wine is readily available here but if you're not up for it, you can opt to have the wine glasses removed. 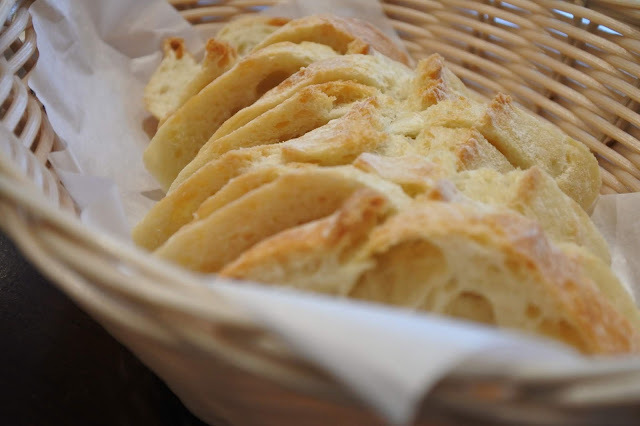 Each table is given a bread basket and butter while waiting for the orders to arrive. I love the crusty baguette and the homemade butter. Perfect! 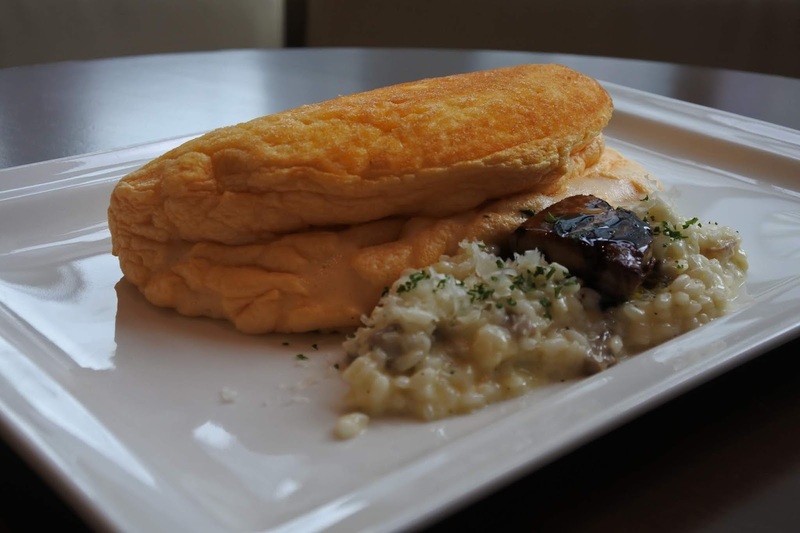 Here's our Puff Omelette with Rissotto and Foie Gras. Puff omelette is a cross between an omelette and a souffle. It is recommended to get a piece of omelette, rissotto and the foie gras on your spoon and then eat it at the same time. The combination of flavors and textures are amazing specially the foie gras. 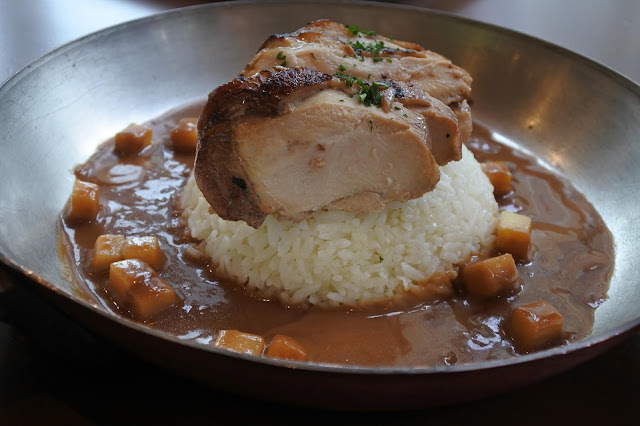 Then we were served Chicken Adobo Cooked in Apple Cider and Apple bits. OMG! Whoever created this is a genius. I love how our Pinoy Adobo becomes French-inspired simply by using apples. And the meat was really tender and tasty. 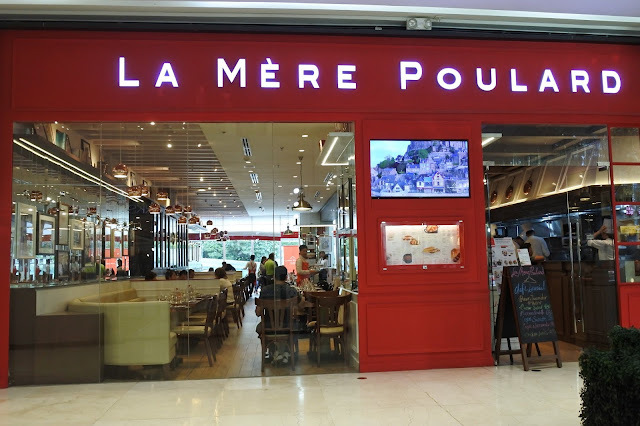 I love how La Mere Poulard incorporated some of the Filipinos best-loved dishes by giving them a French tweak. Another must-try on the menu is the Beef Caldereta in Burgundy Style (making mental note to try that sometime soon).